Supply chain execution is hard. You cannot afford a single shortfall and it has to be both cost-effective and efficient. Many online retailers are aware of this, but their execution still goes wrong. They end up paying high shipping costs, experiencing a loss of revenue and receiving many customer complaints. Well… there are several reasons why their execution is inefficient. One common reason is a lack of visibility over supply chain execution. According to a report by the Business Continuity Institute, seven out of 10 businesses do not have enough visibility over their supply chains. Also, many retailers still use age-old and ineffective legacy software to run their operations, which costs them both time and money. They fail to understand that they have to bolster every section of the process to ensure a foolproof supply chain. It starts from investing in hiring the right employee to having a stringent control over each and every operating expense to using the right technology. And this is what vehicle route planning software helps you with. But, how can such software strengthen your supply chain? Do you really need it? Read the article to get answers to these questions. Finding and hiring a skilled and competent employee is challenging for any business across all industries and online retail is no exception. You have to be very careful while recruiting because a wrong hire can jeopardize your business. According to the Harvard Business Review, 80% of employee turnover happens due to bad hiring decisions. Also, the negative return on investment of a bad hire is -298% as per SayIt Communications. The key to attracting the right person to join your business is showcasing what is in it for them. Just as you give your customers a reason to do business with you, you should also show new hires how they will benefit by working for you. After all, everything is sales, whether it is selling your products or selling your company’s vision. Route optimization software makes this job easier for you. For example, you can use the software to attract the best drivers to your company. Such software comes with a GPS tracking feature that will help you track what your drivers are doing on the road in real time. So, this feature helps to ensure driver safety. For example, if a driver is stuck in the middle of the road in a remote area due to a breakdown, you can send immediate road assistance as you can see the driver’s activity. This also holds true when the drivers drive late at night or in unsafe areas. And, when drivers see that you are serious about their safety they will most likely want to be your employees. Fleet route planning software can also help your drivers earn more incentives as it displays the data required to monitor their performance. Such data includes the number of stops covered, total time spent, and time spent at a customer location. You can even use the data to guide under-performing drivers to perform better. Moreover, the software offers an eSignature feature which helps manage customer complaints with zero hassles. Customers can sign on a driver’s smartphone and so they cannot later claim that the delivery was not made. This also protects your drivers’ reputations. And, when offering these benefits to drivers, they will consider you a transparent employer who is committed to its drivers. This perception could lead them to prefer working with you. There are other benefits of a fleet routing software as well, including well-optimized and accurate routes, and an easy training process. Remember, a great employee can provide your company with the much-needed competitive advantage and play a big role in your company’s success. So, you should leave no stones unturned to get the right people to work for you. Retaining your employees can benefit your business in several ways, such as reduced training and hiring costs. However, doing so is equally or more difficult than recruiting new drivers. Route scheduling software solves this problem. The same points covered above about attracting the right drivers (driver safety, protecting drivers’ reputations, and transparency in performance analysis) can also help you retain employees. When drivers get so many benefits, it would be difficult for them to leave. But, that’s only one part. Employees want to work with companies that offer growth opportunity in the long run and this applies to your drivers as well. According to Willis Towers Watson, over 70% of high-retention-risk employees said that they have to leave their current organization to advance their careers. This is proof that career growth opportunities plays a key role in retaining the best employees. And, routing software could help you with this. Such software can help you offer drivers the opportunity to grow into other roles. You can create a team and assign users specific roles, such as team captain or dispatcher. In this way, you can see how well a driver or employee performs in the current position so that you can promote them based on the data. For example, you can promote them to team captain, regional driver captain or supervisor. You can also promote them to a local dispatcher, then regional dispatcher, and finally operations manager. Read the following article to learn more about how routing optimization software can help you promote drivers. It is very important for online retailers to move goods as cost-effectively as possible and with a quick turnaround time. This is because shipping expenses can prove to be more expensive than the goods being shipped. Delivery software helps you ship products efficiently, quickly, and with minimal expenses. Such software offers well-optimized routes that considers all the constraints which can increase your expenses. So, it factors in weather, left turns or U-turns, the latest traffic situations, and under constructions roads so that you do not end up paying penalties for violating road laws or for additional fuel cost while the drivers are stuck in traffic. Also, because it comes with a GPS tracking feature, which helps you keep track of every driver’s activity on the road in real time, you can see whether a driver is speeding up which can lead to additional fuel expenses. You can then ask the driver to slow down to avoid road accidents and restrict them on wasting extra fuel and increasing the costs. There could also be times when a driver wastes fuel by using their vehicle as a climate control system. They might even keep their vehicles running from their first deliveries until they return to the depot and park their vehicles without turning off the engine. Such excessive idling could cost you almost a gallon per hour for no reason. The amount of wastage can be even higher, based on the engine size and air conditioner usage. Normally, it is difficult to learn about the idle time of every vehicle. But, doing so is easier when you adopt a GPS tracking system. It will alert you in real time when a vehicle is idle for a longer period. In this way, you can take corrective actions. Routing software also comes with a reporting and analytics feature that helps you track every nitty-gritty detail about fuel expenses. Such data includes the total fuel cost per day, week, month or year, total stops covered, and total miles driven. This eliminates any opportunities for driver or employee fraud. Read the following article to learn more about this feature. Moreover, such software helps you control your maintenance costs as well. The software shows you how many stops a vehicle has made and the number of miles traveled. So, if the vehicle needs maintenance after every 1,000 miles, you can easily predict how soon it may need maintenance again. This ability ensures that your vehicles are always in top condition as you do maintenance at the exact right time and not when the vehicle is already damaged. In this way, you save a significant amount on maintenance expenses. Every customer wants their deliveries on time. And, if you cannot keep up with this demand, they will most likely lose faith in your business and prefer your competitors. This is where routing optimization software proves very useful. Typically, you will not know about a driver being stuck on the road due to unanticipated circumstances, such as a vehicle breakdown, until the driver informs you about it. At times, you may only learn about such instances when a customer complains that a delivery was not made on time and then you find out that it was due to the vehicle breakdown. But, by that time it might already be too late to satisfy the customer. But, because the GPS tracking feature keeps you updated about every vehicle’s status on the road, you can immediately learn of such situations and inform the customers about any delays in deliveries. Moreover, if the customer calls to ask for an ETA, you would be able to provide them with an accurate one. Customers prefer to deal with a business that keeps its promise and so it is very important to provide them with the right data. You can even reroute the nearest driver to the customer location and still meet the deadline. Also, a seven-day delivery window will soon be passé. So, you need to shrink your delivery window. Behemoths, such as Amazon and Walmart, have already introduced same-day delivery services in several cities. And, if you do not offer faster delivery, you will be easily outpaced by your competitors. You definitely would not want that. Route scheduling software offers 100% accurate and well-optimized routes, cutting down any hassles that your drivers may face when you plan routes with pen and paper. In this way, your drivers will be able to deliver packages right on time. Also, if a new order comes in, asking for same-day delivery, you can take on the job by re-optimizing the route in real time. And, any changes made on your computer will automatically be synced with the drivers’ smartphones, reducing any opportunities for miscommunication. In this way, drivers can meet pre-scheduled as well as dynamic same-day delivery requirements. Although we have discussed the four ways in which a vehicle route planning software can help you, there are several other ways it can also prove to be useful. Read the following article to learn more about them. However, not all routing optimization software offer these critical features, such as eSignatures and GPS tracking. So, read the following article to learn how to select the right one for your business. If your delivery process is outsourced, then make sure that the vendors have a planning and routing software in place. If they plan routes manually, then you would be more affected than they would. This is because it would be your direct customers and not their customers who complain. And, any issue you have with your customers can put all your efforts in vain. 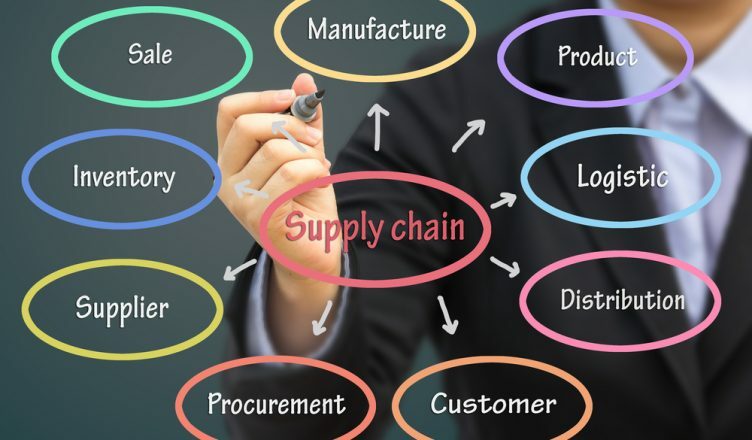 So, what process do you follow and what tools do you use to strengthen your supply chain? Let us know in the comments section below.